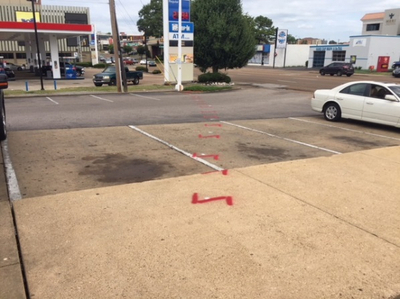 Ground Penetrating Radar Systems’ office in Memphis, Tennessee recently worked with an out of state environmental company to help them locate underground utilities of the building before they conducted soil sampling in the area. The company did not know where or how may utilities were in the area before calling GPRS. 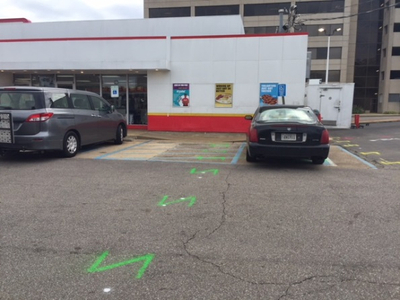 We were able to find underground utilities, without shutting down the business and around customers carefully. 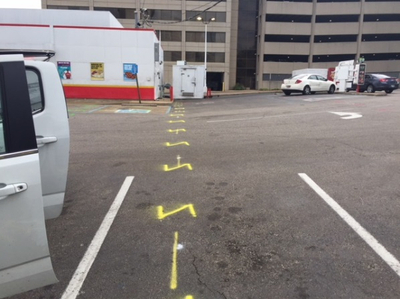 We found the building’s power, communication, site lighting, gas, sewer, and an unknown line for the customer in the areas. We then provided a google map of our findings so the company could have the site utilities on record for future projects. The GPRS scanning method prevented any delays to the project that would have been caused if they were to strike a utility in the area. Scanning and interpretation are in real-time, so project managers can instantly receive results, relay them to their team members and make necessary adjustments on site without causing any delays. GPRS uses non-destructive testing equipment to locate piping, underground power, gas lines and other metallic objects which are otherwise unable to be seen. Using GPRS is a safe, efficient, cost effective way to make sure you can safely drill or trench and not destroy any underground utilities. Other services we offer are: Underground Utility Mapping, Underground Tank Location, Conduits, Concrete Analysis, Rebar Mapping, Void Location and more. GPRS is a nation-wide company with local project managers in over 50 cities. 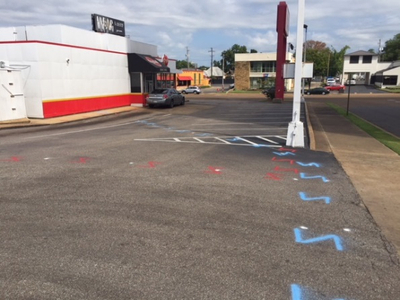 If GPR services are needed in West Tennessee, contact Nathan Gallowitz at 901.233.9964 or nate.gallowitz@gprsinc.com. Also visit www.gp-radar.com for a directory, to view important information about our company, or request more information about how we can serve you on your project.